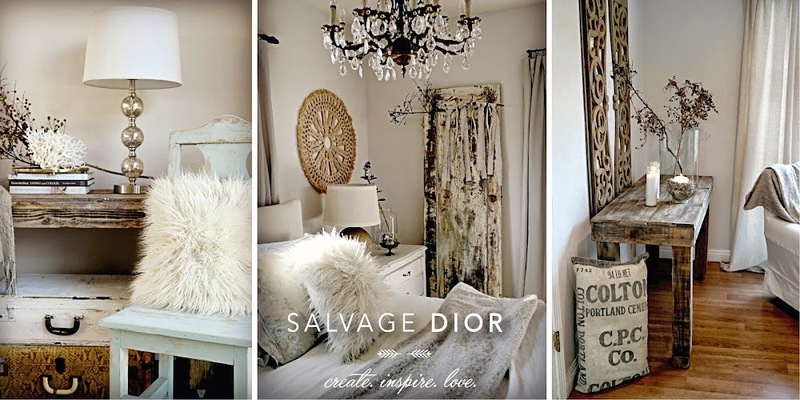 Salvage Dior: White Wednesday " Collected "
I'm so loving that planter. Love the weathered finish. I wish I could see your lovely display in person. Everything looks beautiful--those roses are gorgeous! Great finds!!!!! Have a great week! Beautiful finds, Kate! I'm loving me some shears too! I love the petite end table; the vibrant color of your rose is fabulous! so pretty! I just tried milk paint for the first time this morning and it dry brushes really well, love all your photo's pillows are awesome, have an awesome day! !